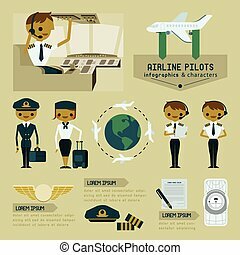 Airline crews and jet plane illustration. 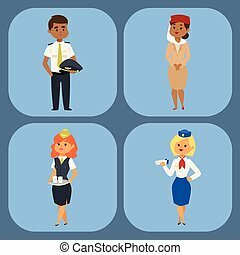 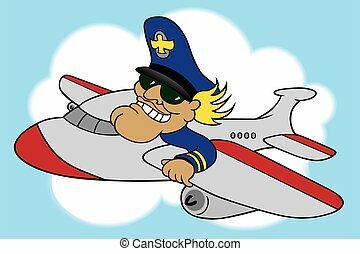 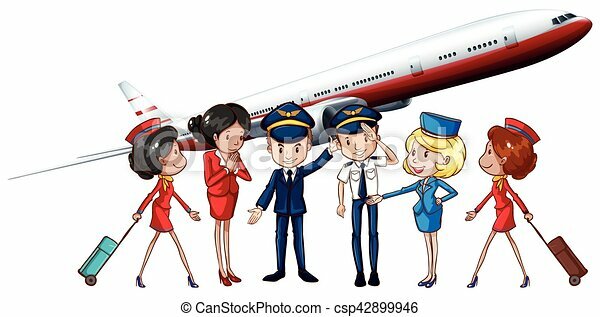 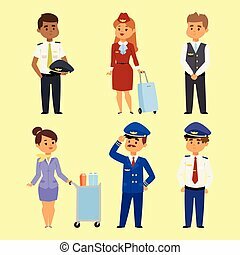 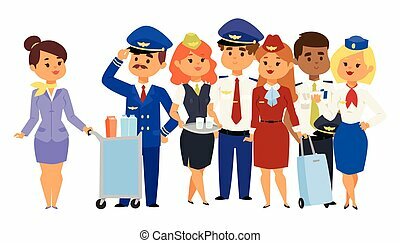 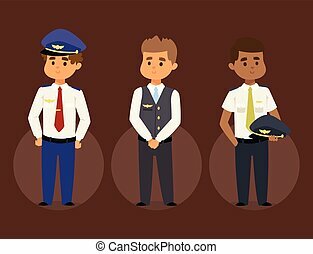 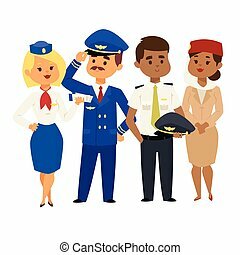 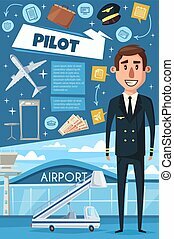 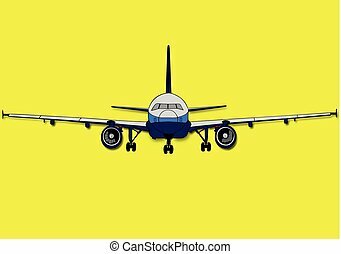 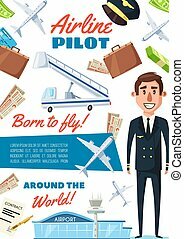 Pilots and stewardess vector illustration airline character plane personnel staff air hostess flight attendants people command. 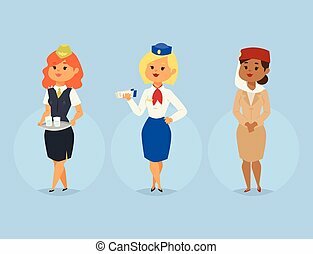 Flight attendants captain professional pilots and stewardess. 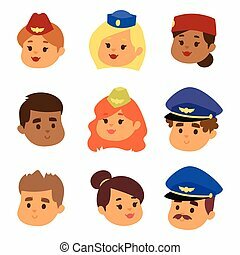 Pilots and stewardess vector head illustration airline character plane personnel staff air hostess flight attendants people command. 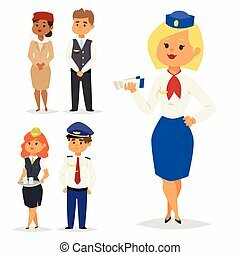 Flight attendants captain professional pilots and stewardess.